To whom else does a man write on a day like this? Not to his son – there are no lessons or answers to give. Not to his mother – she would only weep. Not to a friend – he already knows. He writes to his woman – because she forgives. I should write to you about how you have kept me alive. I should say that these nights, I only fall asleep if I synchronize my lungs to yours. You breathe like the Moonlight Sonata. At first slowly, softly, like a butterfly on my lips. Then, because I can’t fall asleep unless I am inside you, your breathing changes, now like a humming bird’s wings under my hands. Your body rises and trembles, and yet you never leave my lips. You hold on to them, as I breathe the air that you create faithfully. And that’s when it happens. For a blind instant, your breathing stops and it becomes a single word. My name. That’s how you come. That’s how you go. With my name on your lips, blindly, maddeningly, and for me alone. As you fall asleep, your breathing slows. Deepens. I feel an instant of jealousy for whatever dream pulls you away from me. But your lungs let in and out a steady airflow, as if they know that without it, I am nothing. It takes 15 of your breaths for me to fall asleep. I should write to thank you for breathing… But instead, I write to add to the burden that you already carry on your delicate alabaster shoulders (I have kissed them a thousand times). It’s done, love. Baghdad is razed to the ground. Only 35 out of 650 animals in the zoo survive. Almost 170,000 Mesopotamian artifacts are missing from the National Museum. The National Library and all manuscripts over 7,000 years old burned down. I don’t know how many men, women, or children are dead, or how many of them from my hand. Yet, there was a moment I reveled in it. We raided a marble palace with golden doors. You may have seen it on TV. That is where Saddam’s son, Uday, lived. Marble, gold, silk, milk-filled pools. Around it, homes with no running water. Stray dogs. Children playing soccer with an American helmet quoting Joshua 1:9, For the Lord my God is with me wherever I go. Blood danced in my veins as we stormed the golden doors. I laughed at the carnage. I whistled as we searched for bodies in the marble ruins, hoping one of them was alive so I could end him myself. Marshall asks God for forgiveness, but I have no God with me, I have only you. Still, every man needs an altar. Mine is the taste of your lips and the glow of your skin. And your soft eyes that are neither tearful, nor sad. They sparkle with the light of open doors. The only doors that welcome someone like me. I suppose this letter is my knock. And because you are not real, you let me in. Ani’s Note: Some of you may have wondered why Aiden asks Elisa “not to leave his lips” the first time they make love. Perhaps this letter will give you one of the answers. Oh Ani, that letter was so beautiful and sincere. To think Aiden was writing to a woman he had yet to meet, yet to give his heart to. A blank face to offer him comfort through the rage of war; a solemn apology in case he might not return home alive. You have a way of showing us the passion and love that is hidden in Aiden’s soul through his words. Exceptional in every way. thank you for this treat. I can’t begin to express how much I love these letters because I am lost in the beauty of them. I say this with all sincerity, you have eclipsed yourself with this letter. Your writing floored me to the point where I had to read it in pieces. Something like this cannot be truly appreciated in on quick read. You have to go back and take your time to truly enjoy the beauty that was just shared with us. First, the greeting of the letter – my all. Not my love, not my heart, not my wife – My All. She is his life, the blood and heart keeping him alive. Then he goes into who else but her would understand what he feels after what he’s experienced. He writes to his wife, because she forgives. Because he sees her as what the true meaning of wife should be. When everyone turns their back on him, when everyone judges his actions, the one person who knows his heart, will forgive him because she knows his soul, what is inside him. She’s the only who does. Then, his beautiful description of how she keeps him alive with her breath. Because she lives – if only in his head – he lives. They are intertwined, life to life – breath to breath. I do love that in true Aiden fashion, he still cannot help his jealousy from coming out, even when he’s writing a love letter. What is most amazing about Aiden, if you look into his soul, out of all the other characters, no one loves like him. Can you imagine, loving someone so divinely that they transcends God in your eyes? Not many people have the courage to love like that. That kind of love would scare anyone, yet he covets it. I think this letter proved more than anything that Aiden always knew how to love, he just hadn’t found the woman who could live up to his love or deserved it. He had an ideal, and never gave betrayed it. But he finally found her and with a kiss, she gave him the forgiveness his soul needed. Wonderful writing. I would say as always, but you really propelled yourself into another stratasphere. I can’t wait for the next installment. Brava!!! I would definetly have to agree with Lulu. You have really out done yourself on how Aiden feels for the one person he believes keeps him alive through all the turmoil he sees. You really are a remarkable author. I hope that you will publish the letters along with one of the books. They explain so much. Again the writing is fantastic. Thank you. That was beautifully written…And heartbreaking…And unfortunately timely. I have really enjoyed your characters, and how you entwine current events with your storytelling…How does one find chapter 20 and up? I’m new to the blogging world, so I don’t yet know how to get around sometimes. I believe the letter is from chapter 38? I don’t know how to get there…maybe I’ll figure it out by accident! She is his alter, it would be impossible for the universe to not manifest her for him from his devotion alone. She was of him before his eyes would ever behold her. His love for her was beyond hoping, beyond believing, it was an inherent knowing. He told himself she wasn’t real, but his heart only heard the truth. So sincerely beautiful! Thank you. First time I read this letter I had tears in my eyes & I had to leave it but, of course I had to come back to it. Beautifully written Ani! Thank you! 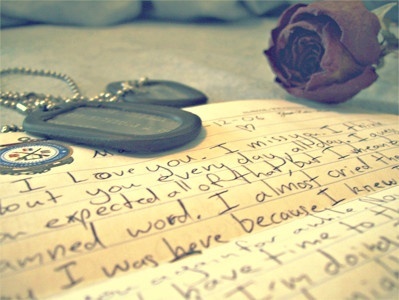 This letter just broke my heart …beautiful. How can we not fall in love with him? This was so beautiful…Thank you, Ani. Although Aiden feels as though he is damaged and unlovable, this letter is a glimpse into the part of him that is capable of love. Even though he doesn’t believe she exists, he still indulges in communicating with Her. *sigh* More please! Ani, this is just beautiful. And I think it foreshadows the end of the book in many ways. Aiden doesn’t believe in God, but he admits to believing that his love for her is equal to the love of God. It is interesting how much the Bible plays a role in this story, especially when Aiden vehemently rejects the existence of God. Just how you leave us questioning our own beliefs on immigration, you force us to question our beliefs in higher power. He idolizes her, even though she is still a fantasy. The Bible warns of loving false idols because nothing can surpass the love of God. It is the only perfect love. Aiden is setting himself up for heart ache by placing so much faith in another human. We are all flawed and we will let people down and fail to meet expectations. This is the danger in the theory that “love conquers all.” It is a very naïve statement. In the end Elisa tells him that even love doesn’t excuse what he did. False idols will fall. On another note, this letter reminds me of a conversation I had with a woman who I truly respect and admire. I was 23 and had just started my new job in NYC. An older lady, Pat, was asking me why I decided to move clear across the country. I told her I was following my heart. She told me her own love story and it was sweet and beautiful. I asked how she knew her husband was “the one.” She said that when you truly love someone you will forgive anything, whether right or wrong. I loved that Aiden wrote his letter to his “all” because she could forgive him. Ow. Painful. But just as beautiful as anything else you’ve written.